The Cruise/Wagner, Mission: Impossible franchise, has and continues to be a financially rewarding series, but whereas the 1960s TV serial was about spying and espionage, Tom Cruise’s Mission: Impossible, too frequently relies upon set pieces instead of character and narrative development. Arguably, since it’s rebirth in 1996, its sole purpose has been to make Tom Cruise, look good. 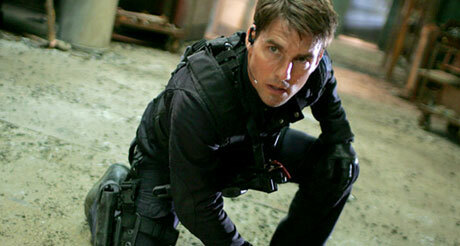 So, is Mission: Impossible – Ghost Protocol any different? In this, my final film preview of 2011, there are two new offerings out on general release, after Boxing Day’s, Blockbuster Bonanza (Mission: Impossible -Ghost Protocol & The Girl with the Dragon Tattoo). This Friday’s releases are all about appeasing the arthouse crowd, with Luc Besson’s The Lady and Michel Hazanavicius The Artist. Director Guy Ritchie has seemingly pulled-off the impossible, by delivering two good films back-to-back. In fact his sequel to Sherlock Holmes (in general) is a far more confident piece, both in terms of its performances and humour. Upon entering the Barn in Dartington, I had a sense of trepidation about what I was letting myself in for with Hugo, a family film from the director of Mean Streets, Taxi Driver and Goodfellas. But I needn’t have been concerned, despite a cumbersome first half, Martin Scorsese delivers, if not quite a family film, then a film which is steeped in awe of the cinema and its majesty. Wreckers is the first film directed by Dictynna Hood. Hood’s first foray into filmmaking is a drama which examines the fragile relationships between intimacy, truth and betrayal. My Week With Marilyn is based upon Colin Clarke’s alleged affair with Marilyn Monroe, during the filming of Laurence Olivier’s, The Prince and the Showgirl, a film of questionable quality, but fortunately both Michelle Williams (Monroe) and Kenneth Branagh (Olivier) dazzle in this charming romantic jaunt. The Well-Digger’s Daughter marks the directorial debut of one of France’s best actors, Daniel Auteuil. Auteuil’s first feature as a director is a remake of a 1940s film (of the same name). The film is set in rural France prior to WWII. Pascal (Auteuil) is a deeply honourable man, who’s torn between his honour and his love for his daughter, when she becomes embroiled in a ‘drama’ with the wealthy son of a shop keeper. This will most likely be of interest (I suspect), to fans of French cinema or those with a fondness for Auteuil. However, don’t go expecting anything like his body of work as an actor. If you do, I fear you’ll be sorely disappointed. 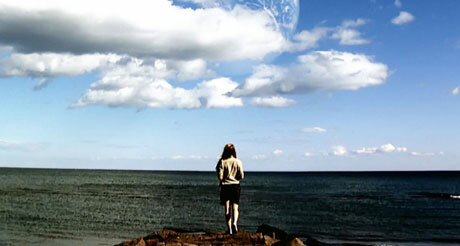 Another Earth is the second feature film, from director Mike Cahill, his previous being the 2004 documentary, Boxers and Ballerinas. I’m optimistic about this science-fiction film and if it’s half as good as indie sci-fi hit, Primer, it will be a rare treat. The film is about a tragic accident involving an ambitious student, a composer and his family. And these unfortunate events all take place on the eve of ‘another earth’ being discovered. This leads Rhoda (the student) to wonder, whether on this other earth, her other self, has made the same terrible mistake. Cahill’s newest film certainly has promise, but contemporary science-fiction films are rarity and the good ones are even rarer, but which will this be, good or bad? If you manage to catch either of these films, do let us know what you thought. 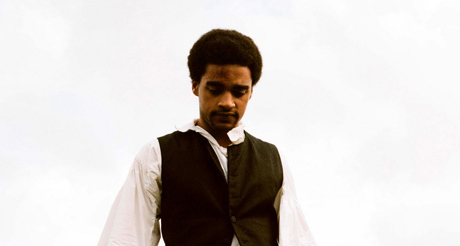 Andrea Arnold’s third film is her stripped-back adaptation of Emily Bronte’s classic novel, Wuthering Heights. The director has had great success with her variation of CinÃ©ma vÃ©ritÃ©, first with 2006’s Red Road and again with Fish Tank in 2009. However, a period drama adapted from a much-loved source material is the polar opposite of the director’s very British, realist cinema. The most important question is whether Arnold has managed to stamp her authorial signature, on this iconic classic? It’s always exciting attending film festivals but last night’s Two Short Nights premiere had a special buzz about it. Not only was it celebrating the talented filmmakers of the South West but it also marked the 10th anniversary of the festival. A little bird whispered to me before entering the screening, that this year’s entrees were particularly strong and I was delighted when that whisper proved to be true. The South West clearly has a multitude of very talented filmmakers and the general quality of the filmmaking across the board, exceeded my expectations. It was an evening of pint-size delights. Anyway, the shorts on offer included POEMA, Cops and Joggers, Until The Dawn, The Grobler, QuietGuy11, Dog-Collar Criminal and Men, Loos and Number Twos. The film which took the top prize (best bursary film) didn’t surprise me. It was a very deserving win for Benjamin Borley’s beautifully shot, black and white short, Until The Dawn. A film about the lengths we’re prepared to go to for ‘true love’, a film about obsession, a man who appears to have the perfect life (and wife) but falls in love with ‘the woman of his dreams’. It featured music from Van Manticore and Sound Gallery’s Justin Graham worked on the sound edit. It also didn’t hurt that the film featured a fittingly beautiful muse in the form of actress, Naomi Burgess, but knowing how to shoot said beauty is the real trick and that’s what Borley masterfully achieves with his film. It was clearly the best film, in a particularly strong line up. Las Acacias marks the debut of Argentine filmmaker, Pablo Giorgelli. It tells the story of a lonely, long-distance truck driver, RubÃ©n, who offers a lift to Jacinta, a young mother carrying her eight-month-old child. This week’s first recommendation is a documentary by David Weissman, We Were Here. It’s a documentary about the arrival and impact of AIDS during the 1980s in San Francisco. There’s a moment in Sleeping Beauty, when poor Emily Browning, wails like a banshee. At that point I was quite tempted to look up and address the actress directly, saying, “Yes, I quite agree, what is all this nonsense about?” However, I’m far too polite for such a garish outburst. So, I sat quietly waiting for the inevitable, fade to black. Welcome To The Rileys has something schmaltzy about it, a sentimentality I just can’t resist and it co-stars James Gandolfini from The Sopranos, which is a big plus for moi. As far as directorial debuts go, Paddy Considine could have done far worse. 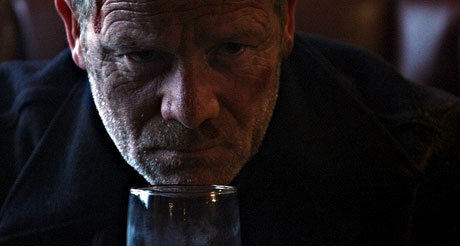 In fact he delivers quite the punch with Tyrannosaur. Ravenous is an overlooked film from 1999. On its release it was met with critical derision, but in hindsight it is plain to see it’s actually something of an oddball gem. Perhaps calling it a contemporary classic is a little tenuous, but then these are my picks, so tough luck. It’s also somewhat genre illusive, neither a purist Horror film nor solely a Western. However, as my first contemporary classic was a Western, The Assassination of Jesse James by the Coward Robert Ford, I feel justified discussing this beautiful, hybrid of a film. Off to the flicks? There are rum goings on. The trailer for Andrea Arnold’s stripped-down adaptation of Wuthering Heights, features next to no dialogue, little action and characters stood about in the elements, looking pensive. The little info that can be garnered from the trailer, is that the ‘elements’ ie the wind and the rain, will play a prominent role in Arnold’s newest film, in which she continues her own style of CinÃ©ma vÃ©ritÃ©, established in her previous films, Red Road and Fish Tank. Some of the initial reviews have suggested that Arnold, in attempting to sweep away the genre clichÃ©s of a period drama, has become slightly unstuck, but Arnold is (without-a-doubt) one of the most interesting contemporary British directors working today. This won’t be to everybody’s liking, but remarkably, Arnold appears to have stamped her own authorial signature on the Emily BrontÃ« classic, which is no small feat. At a push, Wuthering Heights is my film of the week, but if you’re looking for straight-up entertainment, The Rum Diary, will certainly be worth your time and money. Jack Goes Boating marks the directorial debut of Philip Seymour Hoffman, a great American actor. It’s a romantic ‘indie’ about two shy, introverted people, meeting on a blind date and falling in love. 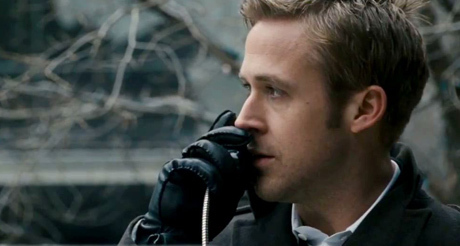 Ignoring Tintin, which I implore everybody to do, the biggest film release this weekend is George Clooney’s, The Ides of March. I highly rate Clooney as an actor, but boy is he crafting himself a beautiful ‘body-of-work’, as a director. Just look at his filmography to date: Confessions of a Dangerous Mind; Good Night, and Good Luck; Leatherheads; and now The Ides of March. Ok, so maybe Leatherheads was a washout, but if he can build upon his successes, Clooney could become a real star behind the camera and for generations to come. Clooney has already proved himself more than capable with regards to handling a political thriller, see Good Night, and Good Luck, so this should be an entertaining and thoughtful alternative to the rest of Hollywood’s output. Films are a lot like relationships; some are good, some are bad. Fortunately, none of my relationships (thus far) have culminated with me killing anyone, unlike the central relationship in The Assassination of Jesse James by the Coward Robert Ford. The Greatest Movie Ever Sold is the newest documentary from Morgan Spurlock, director of Supersize Me. Spurlock funded his film through product placement and advertising and much of the documentary features the director negotiating terms with different brands. As Spurlock announces in the trailer, this is film about transparency, it’s about showing the viewer just how rife product placement is, in TV and film. This weekend sees the return of cinema’s greatest inconsistent director. Yes that’s correct, following the terrible You Will Meet A Tall Dark Stranger, Woody Allen is back with Midnight in Paris. Director John Singleton returns this weekend with Abduction, but this is Taylor Lautner’s film. For those unaware, he’s the other good looking one from the Twiglight films. The trailer looks fairly action packed and heavily influenced by Paul Greengrass’ Bourne films, but what contemporary action films aren’t? It has a strong supporting cast with Alfred Molina, Sigourney Weaver and a brief cameo from Jason Isaacs. It will probably be a perfectly fine, if instantly forgettable action film. 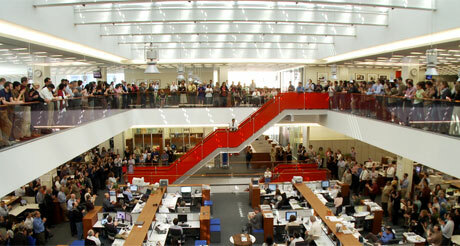 The first film is documentary, Page One: A Year Inside the New York Times (Andrew Rossi, 2011). I’ve picked this film because I think it’ll be interesting to see how traditional media giants (ie newspapers) are attempting to make the transition to new media. However, call me a sceptic, but I don’t believe for a second that this film will actually deal with the paper’s transition. Instead, the film will be used to demean and villanize social medias (ie twitter, facebook and even Wikileaks), while asserting the New York Times is still the preferred place, for ‘serious’ journalism.